ATF agent Hugh Anthony O’Connor died Sunday drowning on the Tennessee River in Marshall County, Ala.
Marine patrol troopers say the incident happened around 5:40 p.m. Sunday near Painted Bluff in the vicinity of the Marshall and Madison county lines, station WAFF reports. Authorities say O’Connor jumped into the water from a boat to help a woman retrieve items that blew from their boat and he failed to surface. His body was recovered approximately 100 yards downstream, the station reports. ATF is saddened to report the death of one of our own. 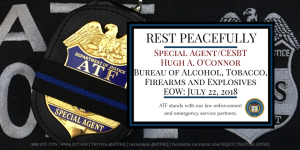 We mourn the loss of Special Agent/ Certified Explosive Specialist Bomb Technician (CESBT) Hugh A. O’Connor. Our thoughts are with the O’Connor family and the National Center for Explosives Training and Research (NCETR). Bill Atkinson: I miss you brother. You have been a good friend and mentor, and you had my six on a lot of PBSO-ATF Violent Crime Task Force search warrants and felony takedowns while I was a TFO and shared an office with you in West Palm Beach.Rest easy until we can join you someday- keep some Guinness and Jamason ready. Cheryl Basham: One of the nicest guys I’ve ever met. 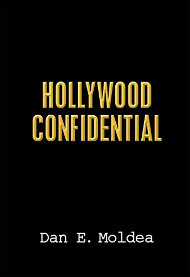 RIP Hugh. Matthew Blakeman: What an amazing guy. Tough loss. Posted: 7/27/18 at 9:12 AM under News Story.